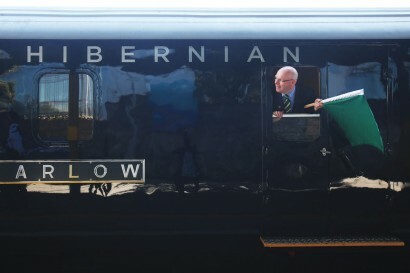 Michael joined Belmond in 2006 as General Manager to Belmond Royal Scotsman. In 2018 Michael became Area Manager for Trains in Scotland and Ireland. He had previously worked in some of the UK’s most prestigious establishments and has a wealth of experience in luxury hospitality industry. 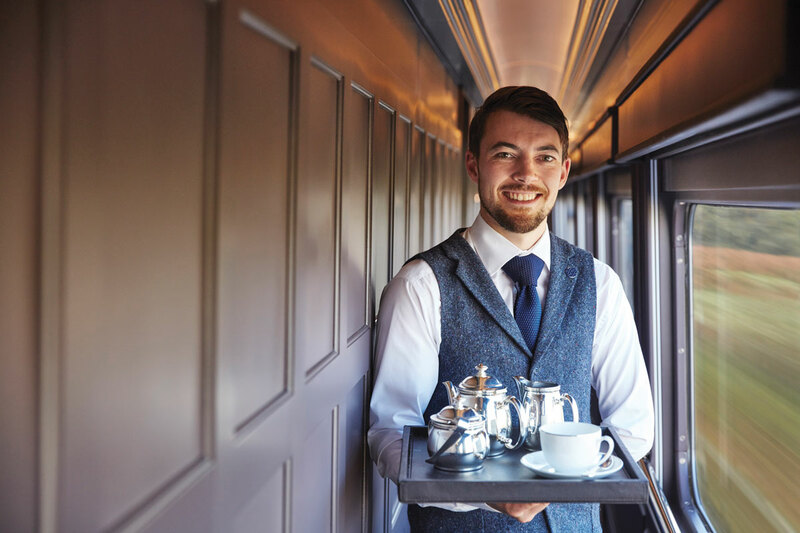 Having been involved since the early stages of Belmond Grand Hibernian launch, Michael brings warmth, passion and an encyclopaedic knowledge of the trains and its history to his role as Area Manager. 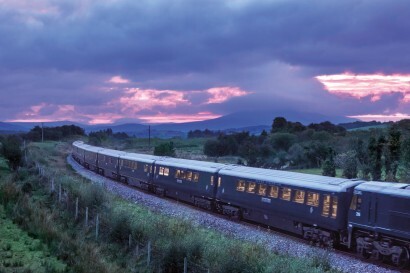 Belmond are conoisseurs in the art of luxury trains hotels and cruises, curating an iconic portfolio worldwide. We blend enchanting destinations with vintage carriages, immersive excursions with delectable cuisine and ultimate comfort with genuine service. 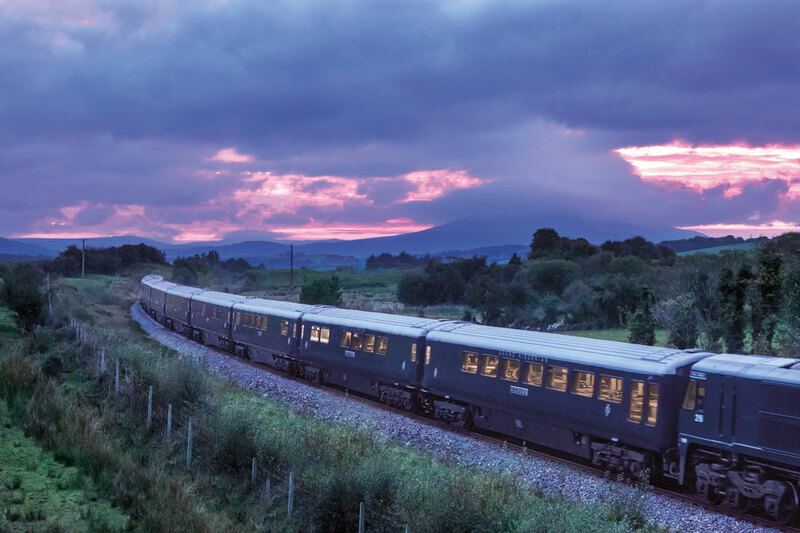 Belmond Grand Hibernian is a thrilling new addition to the fleet, and marks a new level of luxury travel in Ireland as it’s first luxury sleeper train. The gleaming carriages of Belmond Grand Hibernian rolled onto the scene in 2016. Derived from ‘Hibernia’ – the ancient latin term for Ireland, the name recalls the romantic legends and enchanting fables of the Emerald Isle. Boasting classic and contemporary surrounds, the train’s interior was designed by James Park Associates who drew inspiration from Dublin’s Georgian style. 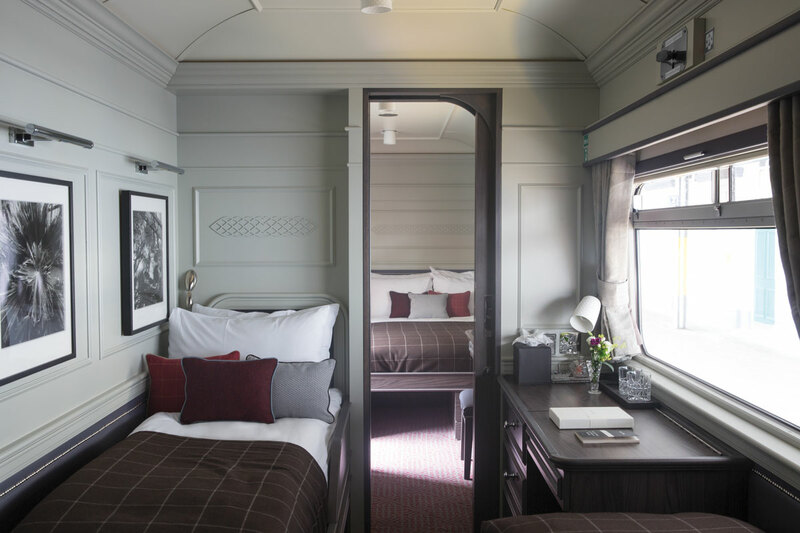 A pioneering addition to the collection, Belmond Grand Hibernian is the first luxury sleeper train of its kind in Ireland and joins seven iconic trains in Belmond’s portfolio, including the Venice Simplon-Orient-Express and Belmond Royal Scotsman. 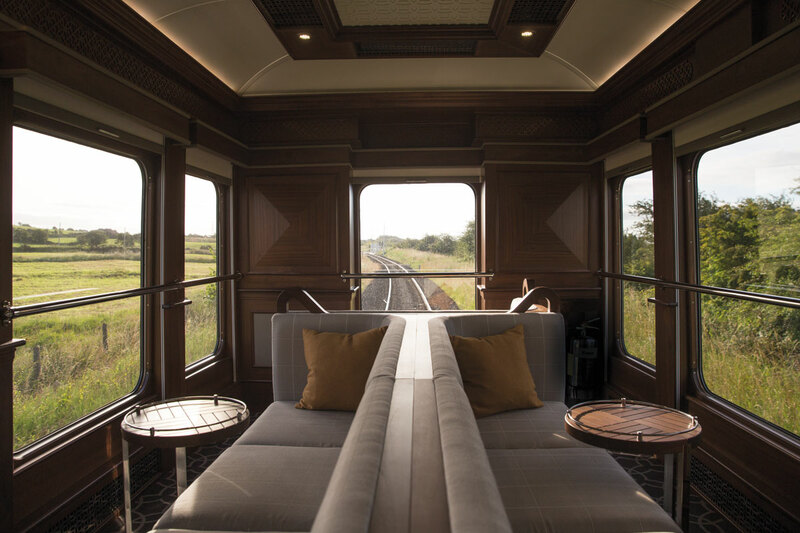 Although the carriages only recently began service, during the off-season expert crafstmen tend to the intricate marquetry and elegant design details to ensure that the train continues its proud reflection of Ireland’s traditional and contemporary cultures. 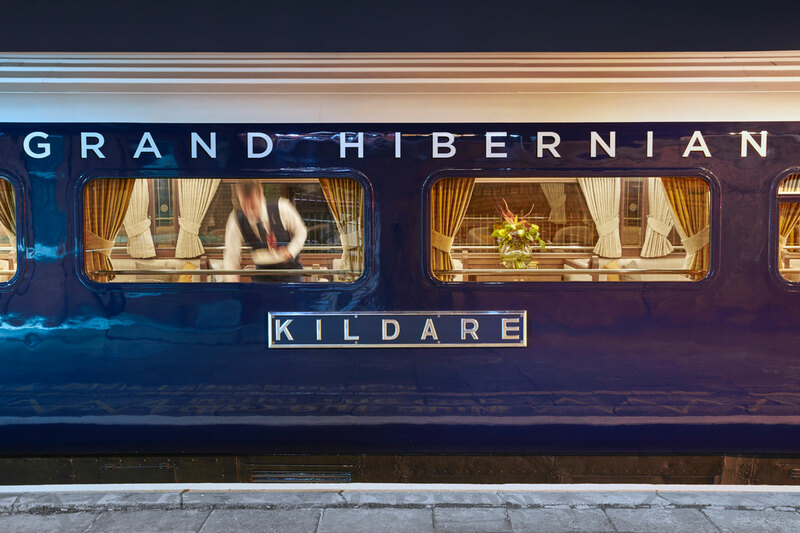 Belmond Grand Hibernian is the ultimate luxury adventure in Ireland. Offering 2-6 night itineraries encompassing the whole island, guests can tour the length of the country in unmatched comfort and style. 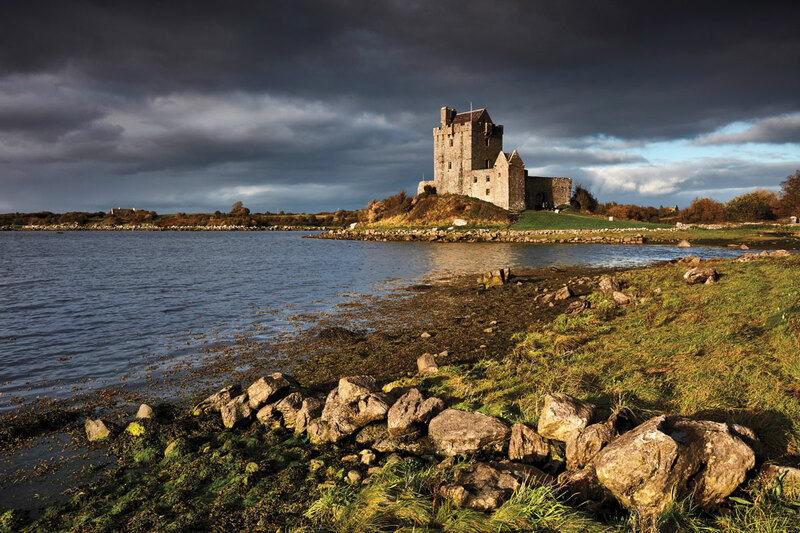 All meals, beverages and excursions are included allowing guests the ease of hopping aboard in Dublin to discover the verdant landscapes, dramatic history and charming culture of the Emerald Isle. 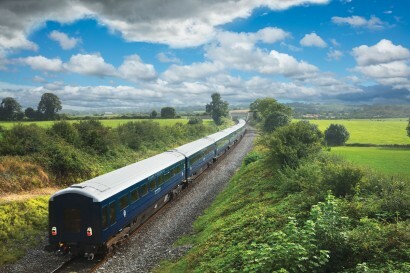 All journeys begin in Dublin’s Heuston station, the train traverses both the Republic of Ireland and Northern Ireland, stopping at spectacular destinations along the way. Discover a range of exclusive attractions and remote locations on our jouneys. 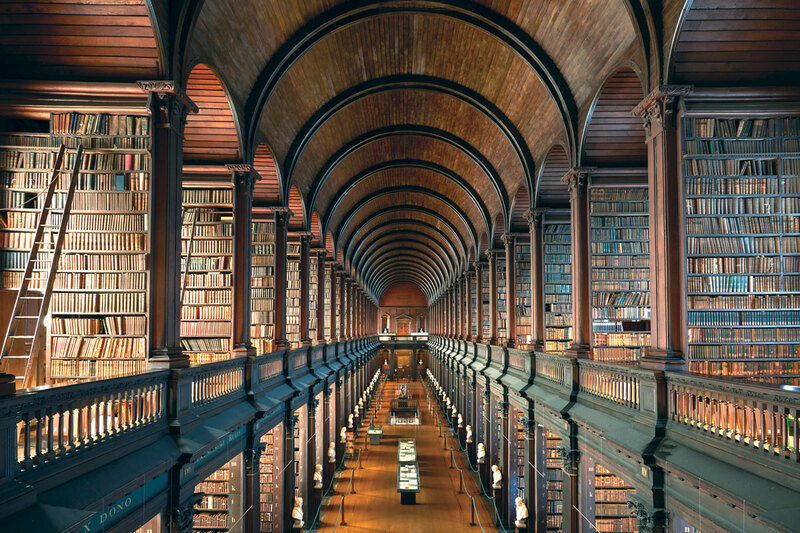 Highlights include the Jameson Experience, Blarney Castle and Gardens, the Connemara National Park and the acclaimed Titanic Experience. • Each carriage is named after an Irish county and specially styled to reflect each county in the colour scheme. Kerry boasts shades of purple and blue; Leitrum features accents of red and Waterford is in glorious green hues. • Our guests can discover the gift of the gab with an exclusive excursion to Blarney Castle to kiss the mythical Blarney stone. We are delighted to welcome families aboard Belmond Grand Hibernian. The train can also be chartered for celebratory family occasions, including specially designed routes and itineraries. Five state cars offer 16 twin, and four double cabins. All cabins feature a light and contemporary design, with elegant Georgian flourishes and include private en-suite bathrooms. 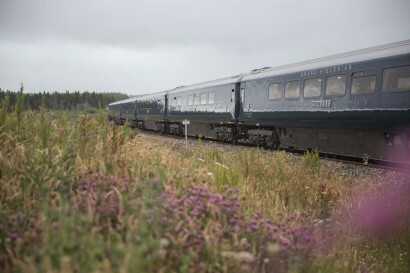 All four double cabins interconnect, making them ideal for families and friends travelling together, and there is also an accessible cabin available for guests with limited mobilities, specially designed to allow wheelchair access into the cabin and en-suite bathroom. 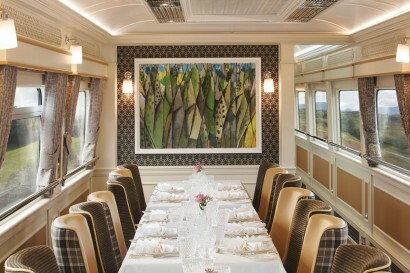 Two sophisticated restaurant cars set the scene for unforgettable dining. Breakfast, lunch and dinner are served in dining cars Sligo and Wexford by our talented stewards. 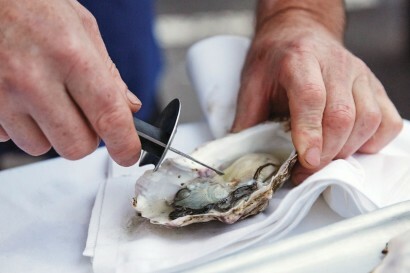 Gourmet Irish menus are the creative vision of Head Chef Alan Woods who brings to the table his talent and expertise in the finest local produce and cuisine. 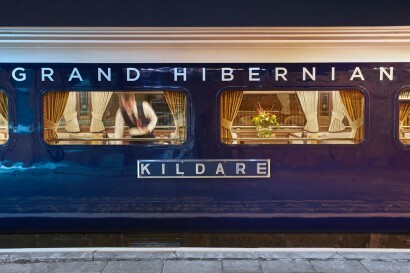 Blending the warm and elegant atmosphere of a Dublin saloon, the Observation Car is the social hub of the train. Large picture windows frame the verdant landscapes of Ireland as local story tellers and musicians provide an entertaining accompaniment to the fine whiskeys and stouts served by the bar. Belmond Grand Hibernian plays the perfect host for group vacations, private parties or business events and meetings. Accommodating up to 40 guests in comfortable surrounds, large groups can enjoy a truly unique setting for any occasion. 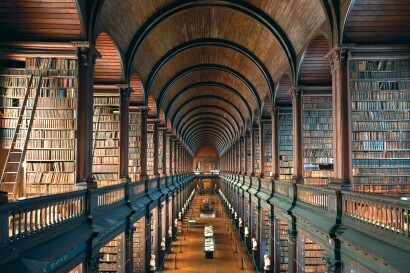 • The train boasts a library and in-room writing desk area for guests inspired by Ireland’s impressive literary heritage. • A moving art installation, the carriages of Belmond Grand Hibernian display a specially commissioned art collection throughout the season. Acclaimed Irish artists were chosen to reveal Ireland’s natural wonders in art-form and allow guests to “experience the richness of art in Ireland today and the land that inspires it” – Katie Kennedy Perez, Collection Curator. 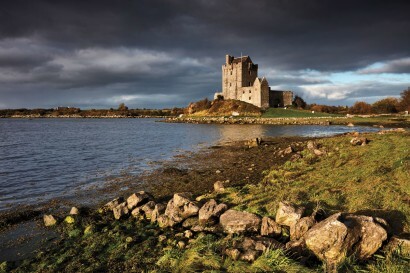 • The Emerald Isle is a veritable paradise for golfers boasting some 300 courses, with more than 50 of championship class, and to celebrate, Belmond Grand Hibernian offers a range of golf excursions to be added on to any journey.